Josh Groban is an American singer, songwriter, performer and record producer. He was charted as the #1 best selling artist in the U.S in 2007, selling over 22.3 million records. 2015 will see Josh Groban release his new album Stages, with cover songs from famous Broadway mussicals. 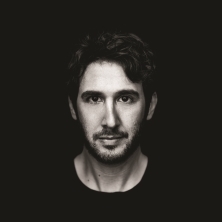 Eventim is the place to look for Josh Groban tickets and tour dates. To be the first to hear when more Josh Groban tickets go on sale you can sign up to the Eventim Ticket Alarm below. “The album was really sparked by an energy I had on the road,” he says. Any of the hundreds of thousands who saw his shows in support of 2010‘s Illuminations, in which his writing and ambition took full flower, knows what he’s talking about. Those concerts were at turns playful and intimate — even in arena settings — and affectingly powerful, with equal measures of musical virtuosity and spirited, spontaneous personality. The latter has also brought him a rising career in movies and television, with an hilarious recurring guest role on The Office, a sparkling part in the hit Steve Carrell/Julianne Moore film Crazy, Stupid, Love and a as costar of the upcoming small-ensemble comedy Coffee Town. “We’re hearing the cars go by and going, ‘I don’t know why this would work,’ but it really does,” Groban says. “And it turned out awesome.” Groban was inspired to push himself as a writer, expanding on the achievements on Illuminations, the first album to be centered on his own compositions. “Brave” saw him team with long-time collaborator Tawgs Salter and singer-songwriter Chantal Kreviazuk.